Super Eagles to know AFCON 2019 foes on April twelfth – Royal Times of Nigeria. Three-time champions Nigeria will know their group opponents of the thirty-second Africa Cup of Nations finals on April 12 when CAF stages the draw. The draw ceremony which will take place in the Egyptian capital, Cairo, will see the 24 qualified teams drawn into six groups of four teams each, with the two top –placed teams in each group, alongside the best four third-placed teams, progressing to the Round of 16. The Emergency Committee of the Confederation African Football also confirmed after a meeting that the Total Africa Cup of Nations – EGYPT 2019, will be hold from Friday, June 21st to Friday, July 19th, 2019. Egypt 2019 will be the first 24 –team Africa Cup of Nations in history, with matches scheduled to be played in eight venues between 21st June and 19th July. 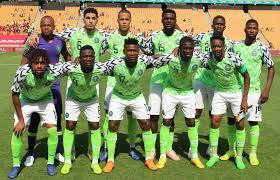 Nigeria’s Super Eagles are already through to the tournament ahead of the final round of the qualifying matches scheduled for late March 2019. Gernot Rohr’s men host Seychelles in their final group game at the Stephen Keshi Stadium, Asaba on March 23. Nigeria won the Africa Cup of Nations at home in 1980, and on away ground in Tunisia in 1994 and in South Africa in 2013.